Philipp Grubauer was added to Capitals. TRADE : From Flyers to Capitals : Philipp Grubauer (62). Jason Spezza was added to Capitals. TRADE : From Flames to Capitals : Jason Spezza (70). 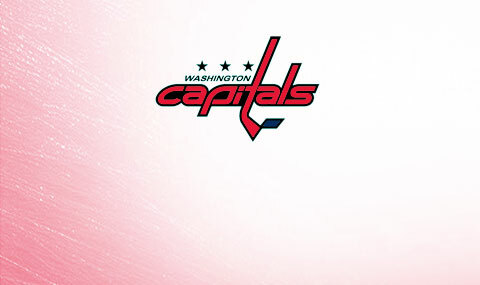 Capitals didn\'t make playoff for year 16. [07.07.2017 0:34:24] - TRADE : From Flames to Capitals : Jason Spezza (70). [24.06.2017 13:44:36] - Philipp Grubauer was added to Capitals. [24.06.2017 13:44:37] - TRADE : From Capitals to Flyers : Adrian Kempe (53)- Joe Morrow (62)- Jayson Megna (59). [24.06.2017 13:44:37] - TRADE : From Flyers to Capitals : Philipp Grubauer (62). [07.07.2017 0:34:23] - Jason Spezza was added to Capitals. [07.07.2017 0:34:24] - TRADE : From Capitals to Flames : Zach Parise (70)- Y:18-RND:5-WSH. [11.04.2017 23:57:17] - Hershey Bears didn\'t make playoff for year 16. [11.04.2017 23:57:17] - Capitals didn\'t make playoff for year 16. [14.03.2017 23:49:25] - Unknown Player is no longer as assistant for Capitals. [14.03.2017 23:49:25] - Scott Hartnell has been selected as assistant for Capitals. [16.03.2017 23:03:38] - Adam Courchaine has been added to Capitals. [16.03.2017 23:03:41] - Adam Courchaine was added to Capitals. [17.03.2017 22:07:30] - Capitals paid 0 Kč to release Adam Courchaine. [17.03.2017 22:07:30] - Adam Courchaine was released. [01.02.2017 22:55:23] - Brad Marchand was added to Capitals. [01.02.2017 22:55:24] - TRADE : From Capitals to Blackhawks : Damon Severson (63)- 5 000 000 Kč (Money)- Y:17-RND:2-WSH. [01.02.2017 22:55:24] - TRADE : From Blackhawks to Capitals : Brad Marchand (70). [25.02.2017 0:47:15] - Nikolaj Ehlers was added to Capitals. [02.03.2017 22:02:39] - Michael Frolik was added to Capitals. [02.03.2017 22:02:40] - TRADE : From Sharks to Capitals : Michael Frolik (67). [02.03.2017 22:02:40] - TRADE : From Capitals to Sharks : Chris Neil (63)- Marian Gaborik (66)- Nikita Scherbak (53)- Y:18-RND:3-WSH. [25. 10. 2016 22:45:07] - TRADE : From Ducks to Capitals : Y:18-RND:7-WSH- Y:17-RND:7-WSH. [25. 10. 2016 22:45:07] - TRADE : From Capitals to Ducks : Y:17-RND:7-ANA. [25. 10. 2016 0:14:12] - Dmitriy Zaitsev has been added to Capitals. [25. 10. 2016 0:14:12] - Nathan Clurman has been added to Capitals. [25. 10. 2016 0:14:12] - Brandon Hagel has been added to Capitals. [25. 10. 2016 0:14:12] - Niclas Almari has been added to Capitals. [25. 10. 2016 22:45:21] - TRADE : From Capitals to Ducks : Y:17-RND:7-WSH.